« What’s Wrong With the Ego? 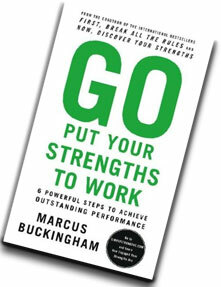 I have to say that one of my favorite people to read and listen to is Marcus Buckingham. He worked with the Gallup organization for several years and co-authored the books, First, Break All the Rules; Now Discover Your Strengths and authored the book The One Thing You Need to Know. His emphasis for some time now has been to help people focus on living through their strengths instead of trying to improve their weaknesses. His point is taken with an example of a scale from 1 to 10: 1 being weak and 10 being strong. If you are an 8 in one area and you improve by a point or two, great; but if you are a 3 in an area, you have the potential to only get yourself up to a 5 or 6 – still mediocre at best. His analysis displays the fact that when we live and work from our strengths, we are happier people. No one has to tell you what you’re good at – you know it, it is instinctive and you feel pleasure from it. Conversly, no one has to tell you what you are bad at – you know these things also. you dread them and they deplete your energy. When we focus living in our strength zone, we make life better for ourselves and those around us. A team of people working from their strengths can change the culture of an organization and increase the whole workforces attitude about a particular business. The impact cannot be emphasized enough. Living and working from our strengths utilizes the best we can offer to any person or situation. It breeds success, and decreases failure, resulting in much more confidence and inner direction and (pardon the pun) strength. This entry was posted on February 12, 2008 at 3:46 pm and is filed under Books I'm Reading, Context, Creativity. You can subscribe via RSS 2.0 feed to this post's comments. You can comment below, or link to this permanent URL from your own site.